The terms require you to arbitrate disputes with us rather than resolve disputes through a jury trial or class action. The terms contain limitations on your legal rights including our liability to you. By accepting the terms, you also understand and consent to our privacy statement, which is incorporated into, and part of, this contract. Our privacy statement describes how we collect, use and share information. Our websites in the United States of America (“USA”) are not intended to be used by, or targeted to, anyone under the age of 13 years old. You must be at least 13 years old to use our online ordering services or the Subway® app. If you are at least 13 years old but not yet 18 years old (or the legal age of majority if different in your jurisdiction), then you must review these terms with your parent or guardian and they must agree to these terms in order for you to use our websites. We operate and host the Websites (the “Websites”) located at: www.subway.com and Subway Listens Web Site, on servers that are located in the USA on behalf of Doctor’s Associates Inc., (“DAI”), the franchisor of the Subway® brand for the USA, and Subway Franchisee Advertising Fund Trust, Ltd. the advertiser for the Subway® brand in the USA. We may change the Terms at any time in our sole discretion. The changed Terms will be effective immediately upon posting and, by continuing to use any of the Website, you agree to the new Terms. You are responsible for staying informed of any changes. If you do not agree to the new Terms, your only remedy is to discontinue use of the Websites. While we may make reasonable efforts to provide accurate and timely information about the Subway® brand on the Websites, you should not assume that the information provided is always current or that the Websites contain all the relevant information available. The Websites may include the following: a Subway® restaurant locator; menu & nutrition information; catering information; Subway® Fresh Buzz information; contact information; “about us” information, including history, news, social responsibility, and FAQs; career information; and Subway® franchise information. Menu or nutritional information provided on the Websites is for informational purposes only, and assumes that the individual restaurants have complied with ingredient requirements and our standardized recipes. Nutrition information is compiled by a Registered Dietitian using nutrition analysis from approved food manufacturers, independent laboratories and the USDA Nutrient Database for Standard Reference. The nutrition information listed is based on standard recipes and product formulations, however slight variations may occur due to season of the year, use of an alternate supplier, region of the country and/or small differences in product assembly. Certain product or nutritional information may not apply to all restaurants. If you have questions about the products, procedures, or ingredients at a particular restaurant, please contact the restaurant. While we operate the Websites, we are not responsible for the operation of Subway® restaurants. Instead the restaurants are owned and operated by independent franchisees. Each restaurant is solely and independently responsible for its legal and regulatory compliance, for any issues relating to the sale of menu items to you, and for any employment related matters in the restaurant. 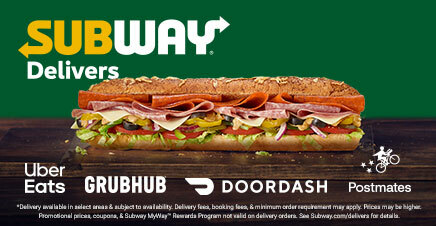 The Websites may provide links to job opportunities posted by us or Subway® restaurants. Opportunities that are posted on www.mysubwaycareer.com are with the restaurant alone and not with us or our affiliates. This means that the restaurant that posted the opportunity is solely responsible for setting the job requirements, all hiring decisions, and all other employment related matters in its business. We do not receive a copy of any application you submit to a restaurant that is a franchise and independently owned and operated. We do not control whether you receive an interview or are hired. We do not control the franchisees’ employment policies and practices. Neither we, nor DAI, nor our affiliates employ independent franchisees. If you are hired by a restaurant that is a franchisee, only that franchisee, and neither we, DAI, nor our affiliates will be your employer. Any information available on the Websites is not intended as an offer to sell, or the solicitation of an offer to buy, a franchise. It is for informational purposes only. In the event of any conflict or difference in interpretation, the language in the Subway® Franchise Disclosure Document (“FDD”) shall prevail. Franchise Offering is by prospectus only. An offer for the sale of a franchise is only commenced by the delivery of the FDD to you in compliance with the Federal Trade Commission Rule on Franchising and the various state laws that regulate the sale of franchise opportunities. Your privacy is important to us. We provide a Privacy Statement that explains our information practices and how we may use and share your personal information. Except where additional notice or consent is required by law, by accessing, browsing, and/or using the pages or services posted on the Websites, you agree to our Privacy Statement and to the collection, use, and disclosure of personal information and any submissions in accordance with our Privacy Statement. Click here to view our Privacy Statement which are incorporated into and become a part of the Terms. In accordance with our Privacy Statement, we may use the information that you have provided to us to communicate with you. You have a choice in how we communicate with you. You may opt in to receive emails or text messages to the e-mail address or mobile number you provide to us. When you opt in to any of these types of communications, you understand and consent that you will receive marketing, news, and other messages from us. If you have a Subway® account you can opt-out of e-mail or SMS messaging by toggling the selections in your account. Or, if you previously selected to receive News and Offer e-mails from us, you can click on the link here and follow directions to change the communications that you receive. In addition, our communications themselves may include the opportunity to opt out. For example, our News and Offer e-mails include an unsubscribe link. You agree that you may need to separately manage your communication preferences for each communication method. For example, if you opt out of receiving marketing emails, you will still receive marketing text messages if you’ve opted in to receiving them. While we do our best to offer convenient methods for you to manage your communications preferences, you may need to separately adjust your preferences for each type of communication. Additionally, even if you have opted out of receiving e-mail marketing messages, you understand and agree that we may continue to send you e-mail messages concerning your orders, either placed on-line or through the Subway® App, and your account. If you are receiving communications from a Subway® franchisee you will need to opt out from them directly. The Websites are not targeted towards individuals who are under the age of thirteen (13). If you are at least 13 years old but not yet 18 years old (or the legal age of majority if different in your jurisdiction), then you must review the Terms with your parent or guardian and they must agree to the Terms in order for you to use our Websites. If you or your parent or guardian do not agree to the Terms, then you must immediately stop using the Websites. We will not knowingly allow anyone under thirteen (13) years of age to provide us with any personal information about themselves (such as their names, email address, and phone number) over the Internet. If a minor has provided us with personal information without the consent of a parent, we ask the parent to contact our Privacy Office immediately at: privacy@subway.com. We will use all reasonable efforts to promptly delete the minor's personal information from our servers and records. Unless otherwise noted, all materials on the Websites are protected as the copyrights, trade dress, trademarks and/or other intellectual properties owned, licensed or used by us. Subway® and the Subway® logo are registered trademarks and service marks owned and registered by Subway IP Inc. and licensed to us. Subway IP Inc.’s marks on the Websites represent some of the marks currently owned or controlled in the USA and/or in one or more other countries by Subway IP Inc. or its licensees. The display of these marks and of notices associated with these marks is not intended to be a comprehensive compilation of all of Subway IP, Inc.’s or its licensee’s worldwide proprietary ownership rights, and Subway IP Inc. may own or control other proprietary rights in one or more countries outside of the USA. All rights not expressly granted are reserved. These Terms do not grant you any rights to the trademarks or service marks of the Subway® System or any Service Provider, (as defined in Paragraph 9 below). The Websites may also contain various third-party names, trademarks, and service marks that are the property of their respective owners. We will respond to notices of alleged copyright infringement that comply with the process set out in the U.S. Digital Millennium Copyright Act (“DMCA”). If you think your copyrights are being infringed on the Websites, you can submit a written notice to DMCA@subway.com. BY CLICKING THE “GET STARTED” OR “CREATE ACCOUNT” BUTTONS OR OTHER BUTTON ON THE WEBSITE OR IN-APP STATING THAT YOU ARE CONSENTING TO THIS AGREEMENT, YOU AGREE TO ALL OF THE PROVISIONS IT CONTAINS. THIS AGREEMENT REQUIRES BINDING ARBITRATION ON AN INDIVIDUAL BASIS TO RESOLVE DISPUTES RATHER THAN JURY TRIALS OR CLASS ACTIONS. THIS AGREEMENT INCLUDES TERMS ADDRESSING OUR USE OF PERSONAL INFORMATION AS SET FORTH IN OUR PRIVACY STATEMENT. 1.1 Account Registration and Loyalty Program. When you create an account on the Sites (a “Subway® Account”), we will automatically enroll you in the Subway MyWay™ Rewards loyalty program. If you already have a Subway® account, by signing into this account, you will be registered for the SUBWAY MYWAY™ REWARDS loyalty program. SUBWAY MYWAY™ Rewards is a loyalty program in which you receive tokens to earn rewards. The rewards are discount coupons that may be used on future purchases at participating Subway® restaurants. See Subway MyWay™ Rewards for the full loyalty program terms, which governs all issues and disputes involving the Subway MyWay™ Rewards program. 1.3 Subway® Cards and eGift Cards. The Subway® Card program is administered separately by Value Pay Services LLC. Use of a Subway® Card is subject to separate terms and conditions which may be viewed at www.subway.com. The Sites may allow you to make remote order payments through certain credit and debit cards. The Sites accept the Subway® Card, Subway® eGift Card, and most U.S.-issued credit, debit, pre-paid, or gift cards, but we may not accept all payment cards. If the first card you select is not accepted, please try another. Transactions consummated through the Sites are with the particular participating restaurant and not with us. For problems or disputes concerning any purchase, contact that restaurant directly or your payment card issuer. All products and services listed on the Sites are subject to availability, Subway® restaurant participation, or may be limited in quantity. After your mobile or online order has been confirmed, your order will be ready for pickup approximately 15 minutes after checkout, unless you have ordered ahead and arranged for a separate pick up time. Once your order has been confirmed by the Subway® restaurant you selected, changes WILL NOT BE ACCEPTED and your order will be fulfilled as originally submitted and YOU WILL BE RESPONSIBLE FOR PAYMENT OF THE TOTAL AMOUNT OF YOUR ORDER to that Subway® restaurant. If a billing error entitles you to a refund, you agree to accept the refund in the form of a credit on the method of payment used to place your order. Except as required by law, cash refunds will not be provided. 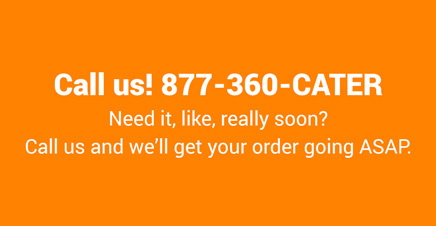 If you are dissatisfied with the products or services you received from the selected Subway® restaurant, please contact the Subway® restaurant that fulfilled your order directly. When a payment transaction is made using your Subway® Account, we will update your Subway® Account activity and provide you a transaction confirmation. The confirmation will serve as your receipt. Except as required by law, you are solely responsible for (a) compiling and retaining permanent records of all transactions and other data associated with your Subway® Account and your use of the Subway® App, and (b) reconciling all transactional information that is associated with your Subway® Account. If you believe that there is an error or unauthorized transaction activity is associated with your Subway® Account, you agree to contact Customer Care immediately. In addition to the remote ordering and payment processing functions, the Sites also may provide a Subway® restaurant locater service, nutritional information and access to Subway® Card and eGift Card re-loads and reward redemption. 3.1 For questions or problems relating to operation of the Sites or any issue with a transaction made through your Subway® Account, contact Customer Care. Note that we are only responsible for customer service issues relating to the Sites, your Subway® Account, payments, card processing, debiting or crediting. Problems with any order you place with a Subway® restaurant are the responsibility of that restaurant. Our Customer Care representatives may provide you with the necessary information to contact the restaurant, but we disclaim any and all liability in connection with the order. We may send you communications through mobile push notices or in app messaging. These communications may include transactional communications, promotional communications, offers, and system messages pushed to your device or within the app (“Push Notifications”). Push Notifications include alert sounds and icon badges which are configured in your device’s settings. You may opt out of Push Notifications that are sent to your device through your device’s settings. Opting out of Push Notifications will not affect your settings with respect to other forms of communications. See Paragraph 4.3 and 4.4 concerning opting out of SMS and e-mail communications respectively. By using this App, in-App messages will automatically be displayed to you via the Application’s display tiles and/or sent to you via the App’s inbox, including promotional communications and offers. If you do not wish to see or receive such messages, then you must cease use of the App. SMS offers are only accessible on smartphone devices and the SMS opt-in offer may be changed without notice. If you have opted in to receive text messages we do not charge you for the text message. Standard messaging and data rates will apply to each text message received as provided for in the wireless plan with your carrier. If you have entered your mobile #, selected “SMS” and clicked “SAVE”, in the App or if you have entered your mobile # and your zip code and clicked “I’M IN” or “Sign Me Up” on our website then you have agreed to receive up to 10 autodialed ads and other marketing messages per month from us on your mobile #. We do not require you to agree to receive text messages as a condition of making any purchase. If you need help with text messages text HELP to 782929. Currently, AT&T, Verizon Wireless, Sprint, Virgin, T-Mobile, US Cellular, Cricket (Leap), MetroPCS, C Spire, Carolina West Wireless (CWW), CellCom, and Bandwidth are participating carriers but these may change without notice. SMS may not be delivered to you if your phone is not in the range of a transmission site, or if sufficient network capacity is not available at a particular time. Even within coverage, factors beyond the control of the participating carriers Verizon and T-Mobile/MetroPCS may interfere with messages delivery for which the carrier is not responsible. T-Mobile/Metro PCS does not guarantee that SMS will be delivered. If you wish to opt out of receiving text messages from us text STOP to 782929 or call (844) 788-7525. If you opt out, you will receive 1 final text message confirming your decision to unsubscribe. When you installed the APP on your device you are/were provided with the option to receive e-mail marketing messages from us or on behalf of participating Subway® restaurant locations, as well as messages regarding your use of the sites. You will see a pre-checked box “send me offers and promotions from Subway® Group” when you first create an account. You may choose not to receive these e-mail communications by unclicking the box prior to creating your account or by “toggling off” email notifications in notifications settings. Once you have registered, if you no longer wish to receive e-mail marketing messages you must opt out (by visiting here). Even if you opt out of receiving e-mail marketing messages, you understand and agree that we may continue to send you e-mail messages concerning you orders, either placed on-line or through the App, and your account. We grant you a personal, limited, non-exclusive, revocable, non-transferable license, without the right to sublicense, to electronically access and use the Sites solely for the purposes set out in Section 1 above. The Sites include any software, programs, documentation, tools, internet-based services, components and any updates (including software maintenance, service information, help content, bug fixes or maintenance releases) thereto provided to you for use with the Sites. While we want you to enjoy the Sites, you may not, nor may you permit any third party to do any of the following: (a) access or attempt to access our systems, programs or data that are not made available for public use; (b) copy, reproduce, republish, upload, post, transmit, resell or distribute in any way material from us; (c) permit any third party to use and benefit from the Site via a rental, lease, timesharing, service bureau or other arrangement; (iv) transfer any rights granted to you under this Agreement; (d) work around any of the technical limitations of the Sites, use any tool to enable features or functionalities that are otherwise disabled in the Sites, or decompile, disassemble or otherwise reverse engineer the Sites, except to the extent that such restriction is expressly permitted by law; (e) perform or attempt to perform any actions that would interfere with the proper working of the Sites, prevent access to or use of the Sites by our other users, or impose an unreasonable or disproportionately large load on our infrastructure; or (f) otherwise use the Sites except as expressly allowed under this section. (g) to "stalk" or otherwise harass, threaten, or violate the rights of others; or collect, store or process, or attempt to collect, store or process, personal data about third parties without their knowledge or consent. We may discontinue or change specifications on products described and/or displayed on the Sites from time to time without prior notice. There is no additional charge for using the Sites to place an order, but please be aware that your carrier's normal rates and fees, such as text messaging and data charges, will still apply. You agree that we can provide this Agreement (including the Privacy Statement), any revisions and amendments, payment authorizations, disclosures, notices required by law and any other matter relating to your Subway® Account electronically by posting it on the Website or in the Subway® App, or emailing it to the email address listed in your Subway® Account. You also agree that electronic disclosures and notices have the same meaning and effect as if we had provided you with a paper copy. You are considered to have received such notices and disclosures within 24 hours of the time it was posted to the Website, delivered to the Subway® App, or emailed to you unless we receive notice that the email was not delivered. To view notices and disclosures posted on the Website, you need only a commercially available browser. We recommend that you print or save important notices and disclosures for your records. We may terminate this Agreement and/or close your Subway® Account for any reason or no reason at any time upon notice to you. Without limiting the foregoing, we may also suspend your access to your Subway® Account if you (a) have violated the terms of this Agreement, (b) pose an unacceptable fraud risk to us, or (c) provide any false, incomplete, inaccurate, or misleading information or otherwise engage in fraudulent or illegal conduct. We may, in our sole and absolute discretion without liability to you or any third party, terminate your use of the Sites for any reason, including without limitation inactivity or violation of this Agreement or other policies we may establish from time to time. 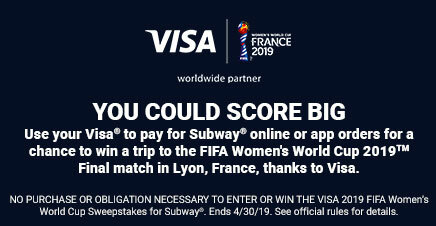 We will not be liable to you for compensation, reimbursement, or damages in connection with your use of the Sites, or any termination or suspension of your Subway® Account. If your Subway® Account is terminated for any reason or no reason, you agree: (a) to continue to be bound by this Agreement and remain responsible for any transactions you have processed through use of the Sites; (b) to immediately stop using the Sites; (c) that the license provided under this Agreement shall end; (d) that we reserve the right (but have no obligation), to the extent permitted by applicable law, to delete all of your information and Subway® Account data stored on our servers; and (e) that we shall not be liable to you or any third party for termination of access to the Sites or deletion of your information or Subway® Account data. 5.7 Your Right to Terminate. You may terminate this Agreement and your Subway® Account by closing your Subway® Account at any time and, if applicable to you, uninstalling the Subway® App on your mobile device. You acknowledge that you may need to install future software updates to continue to use the Subway® App. The Sites and associated software are licensed and not sold to you. The Sites and associated software are protected by copyright, trade secret and other intellectual property laws. You acknowledge and agree that we or our service providers own or have the legal right to the title, copyright and other worldwide Intellectual Property Rights (as defined below) in the Sites and all copies thereof. Unless otherwise noted, all materials on the Sites are protected as the copyrights, trade dress, trademarks and/or other intellectual properties owned, licensed or used by us. Subway® and the Subway® logo are registered trademarks and service marks owned and registered by Subway IP Inc. (SIP) and licensed to us. SIP’s marks on the Sites represent some of the marks currently owned or controlled in the United States of America and/or in one or more other countries by SIP or its licensees. The display of these marks and of notices associated with these marks is not intended to be a comprehensive compilation of all of SIP or its licensee’s worldwide proprietary ownership rights, and SIP may own or control other proprietary rights in one or more countries outside of the United States of America. All rights not expressly granted are reserved. This Agreement does not grant you any rights to the trademarks or service marks of the Subway® System, any Service Provider, or their respective licensors. You may choose to or we may invite you to submit comments or ideas about the Site, including without limitation about how to improve the Sites or our products ("Ideas"). By submitting any Idea, you agree that your disclosure is gratuitous, unsolicited and without restriction and will not place us or any of our service providers under any fiduciary or other obligation, and that we are free to use the Idea without any additional compensation to you, and/or to disclose the Idea on a non-confidential basis or otherwise to anyone. You further acknowledge that, by acceptance of your submission, that we and our service providers do not waive any rights to use similar or related ideas previously known to us or our service providers or developed by their employees, or obtained from sources other than you. We will respond to notices of alleged copyright infringement that comply with the process set out in the U.S. Digital Millennium Copyright Act (“DMCA”). If you think your copyrights are being infringed on the Sites, you can submit a written notice to DMCA@subway.com. You will indemnify, defend, and hold us and our Service Providers (and our respective employees, directors, agents, affiliates and representatives) harmless from and against any and all claims, costs, losses, damages, judgments, tax assessments, penalties, interest, and expenses (including without limitation reasonable attorneys' fees) arising out of any claim, action, audit, investigation, inquiry, or other proceeding instituted by a person or entity that arises out of or relates to: (a) any actual or alleged breach of your representations, warranties, or obligations set forth in this Agreement; (b) your wrongful or improper use of the Site; (c) any transaction submitted by you through the Sites (including without limitation any claim or dispute); (d) your violation of any third-party right, including without limitation any right of privacy, publicity rights or Intellectual Property Rights; (e) your violation of any law, rule or regulation of the United States of America or any other country; and (f) any other party's access and/or use of the Sites with your log-in credentials or of your Subway® Account. You represent and warrant that: (a) you are at least eighteen (18) years of age; (b) you are eligible to register and use the Sites and have the right, power, and ability to enter into and perform under this Agreement; (c) the name you identified when you registered is your name; (d) you will fulfill all of your obligations to each merchant, and/or financial institution for which you submit a transaction and will resolve any consumer dispute or complaint directly with that entity; (e) you and all transactions initiated by you will comply with all federal, state, and local laws, rules, and regulations applicable to your business, including any applicable tax laws and regulations; (f) you will not use the Sites, directly or indirectly, for any fraudulent undertaking or in any manner so as to interfere with the use of the Sites, and (g) your primary residence is located in the United States of America. The Sites are provided on an "AS IS" and "AS AVAILABLE" basis. Use of the Sites is at your own risk. To the maximum extent permitted by Applicable law, THE SITES ARE PROVIDED WITHOUT WARRANTIES OF ANY KIND, whether express or implied, including, but not limited to, implied warranties of merchantability, fitness for a particular purpose, or non-infringement. No advice or information, whether oral or written, obtained by you from us or through the Sites will create any warranty not expressly stated herein. Without limiting the foregoing, we and our service providers (and their respective subsidiaries, affiliates, members, shareholders, directors, officers, employees and agents) do not warrant that the content is accurate, reliable or correct; that the Sites will meet your requirements; that the Sites will be available at any particular time or location, uninterrupted or secure; that any defects or errors will be corrected; or that the Sites are free of viruses or other harmful components. Any content downloaded or otherwise obtained through the use of the Sites is downloaded at your own risk and you will be solely responsible for any damage to your property or loss of data that results from such download. We do not warrant, endorse, guarantee, or assume responsibility for any product or service advertised or offered by a Subway® restaurant location or other third party through the Sites or any hyperlinked website or service, or featured in any banner or other advertising, and we will not be a party to or in any way monitor any transaction between you and third-party providers of products or services. 5.13 Limitation of Liability and Disclaimers. YOUR EXCLUSIVE REMEDY WITH RESPECT TO ANY DISPUTE RELATING TO OR IN CONNECTION WITH YOUR USE OF THE SITES OR BREACH OF THIS AGREEMENT IS TO DISCONTINUE YOUR USE OF THE SITES. TO THE MAXIMUM EXTENT PERMITTED BY APPLICABLE LAW, WE, OUR SERVICE PROVIDERS AND ANY OTHER PARTY (WHETHER OR NOT INVOLVED IN CREATING, PRODUCING, MAINTAINING OR DELIVERING THE SITES) AND THE SUBSIDIARIES, AFFILIATES, MEMBERS, SHAREHOLDERS, DIRECTORS, OFFICERS, EMPLOYEES AND AGENTS OF EACH PARTY, EXCLUDE ALL LIABILITY AND RESPONSIBILITY FOR ANY AMOUNT OR KIND OF LOSS OR DAMAGE THAT MAY RESULT TO YOU OR A THIRD PARTY (INCLUDING WITHOUT LIMITATION, ANY DIRECT, INDIRECT, CONSEQUENTIAL, RELIANCE OR PUNITIVE LOSS OR DAMAGE OR ANY LOSS OF INCOME, PROFITS, GOODWILL, DATA, CONTRACTS, USE OF MONEY, OR LOSS OR DAMAGE ARISING FROM OR CONNECTED IN ANY WAY TO BUSINESS INTERRUPTION AND WHETHER IN TORT (INCLUDING WITHOUT LIMITATION NEGLIGENCE), CONTRACT OR OTHERWISE) IN CONNECTION WITH THE SITES IN ANY WAY OR IN CONNECTION WITH THE USE, INABILITY TO USE, OR THE RESULTS OF USE OF THE SITES, INCLUDING WITHOUT LIMITATION ACTIONS OR ACTIVITIES RESULTING FROM USE OF RESOURCES PRESENTED ON THE SITES, ANY WEBSITES LINKED TO THE SITES, OR THE MATERIAL ON SUCH WEBSITES, OR USE OF ANY SUBMISSION, INCLUDING BUT NOT LIMITED TO LOSS OR DAMAGE DUE TO VIRUSES THAT MAY AFFECT YOUR MOBILE DEVICE, COMPUTER EQUIPMENT, SOFTWARE, DATA OR OTHER PROPERTY ON ACCOUNT OF YOUR ACCESS TO, USE OF, OR BROWSING THE SITES OR YOUR DOWNLOADING OF ANY MATERIAL FROM THE SITES OR ANY WEBSITE LINKED TO THE SITES. UNDER NO CIRCUMSTANCES WILL WE OR OUR SERVICE PROVIDERS BE RESPONSIBLE FOR ANY DAMAGE, LOSS OR INJURY RESULTING FROM HACKING, TAMPERING OR OTHER UNAUTHORIZED ACCESS OR USE OF THE SITES OR YOUR SUBWAY® ACCOUNT OR THE INFORMATION CONTAINED THEREIN. TO THE MAXIMUM EXTENT PERMITTED BY APPLICABLE LAW, WE AND OUR SERVICE PROVIDERS (AND OUR AND THEIR RESPECTIVE SUBSIDIARIES, AFFILIATES, MEMBERS, SHAREHOLDERS, DIRECTORS, OFFICERS, EMPLOYEES AND AGENTS) ASSUME NO LIABILITY OR RESPONSIBILITY FOR ANY (I) ERRORS, MISTAKES, OR INACCURACIES OF CONTENT; (II) PERSONAL INJURY OR PROPERTY DAMAGE, OF ANY NATURE WHATSOEVER, RESULTING FROM YOUR ACCESS TO OR USE OF THE SITES; (III) ANY UNAUTHORIZED ACCESS TO OR USE OF OUR SECURE SERVERS AND/OR ANY AND ALL PERSONAL INFORMATION STORED THEREIN; (IV) ANY INTERRUPTION OR CESSATION OF TRANSMISSION TO OR FROM THE SITES; (V) ANY BUGS, VIRUSES, TROJAN HORSES, OR THE LIKE THAT MAY BE TRANSMITTED TO OR THROUGH THE SITES BY ANY THIRD PARTY; (VI) ANY ERRORS OR OMISSIONS IN ANY CONTENT OR FOR ANY LOSS OR DAMAGE INCURRED AS A RESULT OF THE USE OF ANY CONTENT POSTED, EMAILED, TRANSMITTED, OR OTHERWISE MADE AVAILABLE THROUGH THE SITES; AND/OR (VII) USER CONTENT OR THE DEFAMATORY, OFFENSIVE, OR ILLEGAL CONDUCT OF ANY THIRD PARTY. TO THE EXTENT ANY OF THE FOREGOING LIMITATIONS ARE FOUND TO BE UNENFORCEABLE TO YOU IN YOUR JURISDICTION, THIS SECTION 5.13 SHOULD BE CONSTRUED SO AS TO EFFECTUATE THE INTENT OF ITS PROVISIONS TO THE MAXIMUM EXTENT PERMISSIBLE. The Sites are controlled and operated from and in the United States of America. We make no representations that the Sites are appropriate or available for use in other locations outside of the United States of America. Those who access or use the Sites from other jurisdictions do so at their own volition and are entirely responsible for compliance with all applicable local laws and regulations, including but not limited to export and import regulations. You may not use the Sites if you are a resident of a country embargoed by the United States of America, or are a person or entity with whom such transactions are blocked or denied by the United States government. 5.15 Governing Law & Dispute Resolution. PLEASE READ THIS ENTIRE SECTION CAREFULLY. IT REQUIRES BINDING ARBITRATION OF MOST DISPUTES INSTEAD OF LITIGATION IN COURT, AND AFFECTS LEGAL RIGHTS THAT YOU MAY OTHERWISE HAVE. IT INCLUDES A CLASS ACTION AND JURY TRIAL WAIVER. Access to and use of the Sites and your Subway® Account, access to SMS and other services, (“Programs”), and this Agreement are governed by the laws of the State of Connecticut, United States of America, without giving effect to any conflicts of law or choice of laws principles thereof. YOU HEREBY CONSENT THAT ANY CLAIM, CONTROVERSY, OR DISPUTE RELATED TO OR ARISING OUT OF ACCESS TO AND USE OF THE SITES, THE SUBWAY® ACCOUNT, PROGRAMS, AND THIS AGREEMENT (OR THE BREACH THEREOF) – WHETHER BASED IN CONTRACT, TORT, STATUTE, OR OTHER LEGAL THEORY (“DISPUTES”) – SHALL BE RESOLVED BY BINDING CONFIDENTIAL ARBITRATION BEFORE A SINGLE ARBITRATOR. THE ARBITRATION WILL BE ADMINISTERED BY THE AMERICAN ARBITRATION ASSOCIATION (“AAA”) IN ACCORDANCE WITH ITS ADMINISTRATIVE RULES, AS APPLICABLE, AND ITS CONSUMER ARBITRATION RULES. ALL ARBITRATION HEARINGS OR SIMILAR PROCEEDINGS SHALL BE HELD IN THE CLOSEST METROPOLITAN STATISTICAL AREA TO YOUR PLACE OF RESIDENCE, UNLESS WE AND YOU OTHERWISE AGREE. YOU MAY ALSO ELECT TELEPHONIC PROCEEDINGS OR WAIVE ANY HEARING. YOU ACKNOWLEDGE THAT OUR PARENT AND AFFILIATED ENTITIES, INCLUDING BUT NOT LIMITED TO DOCTOR’S ASSOCIATES INC., SUBWAY IP INC., AND SUBWAY FRANCHISEE ADVERTISING FUND TRUST, LTD., ARE INTENDED BENEFICIARIES OF THIS ARBITRATION CLAUSE AND ALL DISPUTES AGAINST THEM MUST BE RESOLVED BY ARBITRATION. YOU FURTHER AGREE THAT, WHILE THESE ENTITIES ARE INTENDED BENEFICIARIES TO THIS ARBITRATION CLAUSE, THEY WILL NEITHER BE LIABLE NOR RESPONSIBLE FOR OUR PERFORMANCE UNDER THIS AGREEMENT. THE PAYMENT OF ADMINISTRATIVE AND ARBITRATION FEES AND COSTS WILL BE GOVERNED BY THE AAA CONSUMER ARBITRATION RULES. NOTWITHSTANDING THE PREVIOUS PARAGRAPH, WE AND YOU MAY (1) MAY BRING SUIT IN A FEDERAL OR STATE COURT TO ENJOIN INFRINGEMENT OR OTHER MISUSE OF INTELLECTUAL PROPERTY RIGHTS IN THE LIMITED CIRCUMSTANCES DETAILED BELOW; AND (2) SEEK INDIVIDUAL RELIEF IN SMALL CLAIMS COURT FOR DISPUTES WITHIN THE JURISDICTION OF THE SMALL CLAIMS COURT. CLASS ACTION WAIVER. TO THE FULLEST EXTENT PERMITTED BY LAW, ARBITRATION OF ALL DISPUTES SHALL PROCEED ON AN INDIVIDUAL BASES. BOTH WE AND YOU WAIVE ALL RIGHTS TO ARBITRATION OF DISPUTES AS A CLASS ACTION OR IN A REPRESENTATIVE CAPACITY. WE AND YOU FURTHER AGREE THAT DISPUTES MAY NOT BE AGGREGATED OR CONSOLIDATED, UNLESS WE AND YOU OTHERWISE AGREE IN WRITING. This arbitration clause does not amend or modify any rights or obligations under any franchise agreement, development agent agreement, supplier agreement, vendor agreement, or any other contract that you might have with us, our parent, or affiliated entities. All DISPUTES within the scope of those agreements, shall be resolved according to the dispute resolution provisions of those agreements. The AAA Consumer Rules and Commercial Arbitration Rules (Expedited Procedures) are available for review here. (click Rules, then click for the desired rules). YOU ARE GIVING UP YOUR RIGHT TO PARTICIPATE AS A MEMBER OF A CLASS OF CLAIMANTS, IN ANY ARBITRATION OR LAWSUIT INVOLVING ANY SUCH DISPUTE. This Section is made pursuant to a transaction involving interstate commerce and will be governed by the Federal Arbitration Act, 9 U.S.C.1-16 (“FAA”). Any dispute or controversy concerning the enforceability or scope of the arbitration clause will be resolved pursuant to the FAA, despite any other choice of law provision. Notwithstanding the foregoing, nothing in this Section shall prohibit you or us from seeking temporary injunctive relief in a court of competent jurisdiction to prevent an imminent or stop an actual breach of this Agreement until an arbitrator can be empaneled and determine whether such temporary relief should continue or be modified or terminated. 5.16 Limitation on Time to Sue. We have the right to change or add to the terms of this Agreement at any time, and to change, delete, discontinue, or impose conditions on any feature or aspect of the Sites with notice that we in our sole discretion deem to be reasonable in the circumstances which shall include (and may be limited to) posting of the revised Agreement or other terms on the Sites. Any use of the Sites after our publication of any such changes shall constitute your acceptance of this Agreement as modified. You may not transfer or assign this Agreement or any rights or licenses granted hereunder, but we may assign this Agreement without restriction. 5.19 Third Party Services and Links to Other Web Sites. You may be offered services, products and promotions provided by third parties and not by us. If you decide to use these third-party services you will be responsible for reviewing and understanding the terms and conditions associated with these services. You agree that we are not responsible for the performance of these services. The Sites may contain links to third party websites as a convenience to you. The inclusion of any website link does not imply an approval, endorsement, or recommendation by us. You agree that you access any such website at your own risk, and that the site is not governed by the terms and conditions contained in this Agreement. We expressly disclaim any liability for these websites. Please remember that when you use a link to go from the Sites to another website, our Privacy Statement is no longer in effect. Browsing and interaction on any other website, including those that have a link on the Sites, is subject to that website's own rules and policies. Except as expressly provided in this Agreement or as may be expressly stated in another agreement between us, these terms are a complete statement of the agreement between us and you with respect to the Sites, including the provision of payment services. In the event of a conflict between this Agreement and any other agreement or policy, absent an express provision to the contrary, this Agreement shall prevail on the subject matter of this Agreement. If any provision or aspect of a provision of this Agreement is held to be invalid or unenforceable under applicable law, then it shall be changed and interpreted to accomplish the objectives of such provision to the greatest extent possible under applicable law, and the remaining provisions will continue in full force and effect. In addition to any provision that is reasonably necessary to accomplish or enforce the purpose of this Agreement, the following sections of this Agreement survive and remain in effect in accordance with their terms upon the termination of this Agreement: 5.9 – 5.17 and 5.20. If you couldn't find your answer here, don't worry. Let's talk!